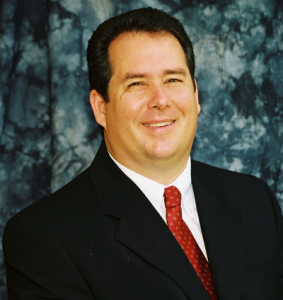 Mr. Kenneth J. Mueller, CPA, CRFAC, CFC, CVA is the owner and operator of Accounting Alliance for Small Business, P.A. formerly known as Kenneth J. Mueller, C.P.A., P.A. a local certified public accountancy corporation. He started his firm in February of 1993, which specializes in assisting small to medium size businesses to succeed through the all-inclusive services in their “Accountant’s Special Business Package”. In 1982 he received his Bachelor of Science in Business Administration, majoring in Finance from the University of Central Florida. Upon graduation he began an eight year career in the banking and finance industries by becoming a commercial lender for Barnett Bank of Central Florida. In 1985 he went to work for Machine Tool Finance Corporation and provided financing through leases on Computer Numerically Controlled (CNC) Machine Tools to manufacturing job shops throughout the United States. In 1990, he received his Bachelor of Science in Business Administration, majoring in Accounting from the University of Central Florida. The State of Florida Board of Accountancy qualified him as a Certified Public Accountant (CPA) in February 1992. In September of 2002, the American College of Forensic Examiners International, Inc. qualified him as a Certified Forensic Accountant (CRFAC). In August of 2004, the American College of Forensic Examiners International, Inc. conferred upon him the designation of Certified Forensic Consultant (CFC). In February of 2006, the National Association of Certified Valuation Analysts conferred upon him the professional designation of Certified Valuation Analyst (CVA). Mr. Mueller is also licensed by the National Association of Securities Dealers (NASD) with his series 66 Registered Representative license (June 2008). Mr. Mueller previously was licensed by the NASD with his series 7 securities representative license in December 1995 through November 2008 and has held a Florida Life Health and Variable Annuity license from February 1996. He is currently a Registered Investment Advisor through Wealth Management, LLC. He is currently an active member of the Florida Institute of Certified Public Accountants (FICPA), American College of Forensic Examiners International (ACFEI), National Association of Certified Valuation Analysts (NACVA), and the Professional Association of Small Business Accountants (PASBA). He has served the Florida Institute of Certified Public Accountants as a member of the BizTech Section Steering Committee since 2006 through 2010 and was the Section Chairman for the 2008 – 2009 year. He has also served on the Florida Institute of Certified Public Accountants State Tax Section and State Tax Conference Planning Committee. Mr. Mueller has served the Professional Association of Small Business Accountants on their conference planning committee for 2007. He was asked to act as the associations Mentor Coordinator in 2009 and served on the 2009 National Training Conference planning committee. He was raised to the degree of a Master Mason in December of 2006 at the Mokanna Lodge No. 329 Free & Accepted Masons in Orlando, FL. In October of 2007, he became a noble of Shriners International, Bahia Shriners in Orlando, FL. Mr. Mueller was the Treasurer of the Bahia Shrine Temple in Orlando, FL for 2010 and 2011. He is married to Laura and has twin daughters Anna and Clara.